Carlos Díez was born in Madrid, Spain. He began his musical training in Getafe when he was 6 years old, and completed his studies obtaining a “Piano and Vocal Accompaniment Master Degree” with Ms Almudena Cano and Mr J. Antonio Alvarez Parejo and “Orchestral Conducting Master Degree ” under the supervision of Dr. D. Antonia Moya Tudela at Conservatorio Superior de Música de Madrid continuing his studies in different countries as Spain, Italy, Germany, Ukraine, Romania, Bulgaria, Czech Republic and USA with teachers such as M. Carra, A. Cano, A.Guijarro, S. Marine, R. Coll, W. Rothstein, C.Rosen, Bishop, A. Ivashkin and conducting with directors as E.G. Asensio, J.Pons, G.Gelmetti, H.Faberman, L.Bostein, J. Schlaefli, M.Stringer, H.Andresscu, D. Bennett, W. Doerner, N.Pasquet, R.Zollman, D. Schleicher, S.Más, G. Nowak and J.Lopez Cobos. He is often invited as guest conductor and pianist by several opera companies in Spain, always obteining great results and positive reviews with in more than 50 operas and zarzuelas productions as in Teatro Real (Madrid) and He was a professor at the summer courses at the University of South Carolina (USA) and pianist since 2006 in the “Master for opera singers of stage performance” organized by the University of Alcala de Henares and taught Giancarlo del Monaco, recorded and broadcast by TVE in 2006 Maestro. In 2009, he moves to New York (USA), selected by the “Bard College Conservatory of Music” to study in the summer program of orchestral conducting at the university with H.Faberman, L.Bostein, teachers R.Harvey , E.Navega and Apo Hsu among others, and is usually invited by the soloists Teresa Berganza and Alicia Nafé among others, to playing in a masterclasses. In the summer of 2010, he travelled to Teplice (Czech Republic) as a conductor on “Opera Workshop” on “Die Zauberflöte” of W.A Mozart, with performances in theaters in Teplice and Prague Estates Theatre. In 2014 he conducted a concert in the Vatican Museums (Rome). 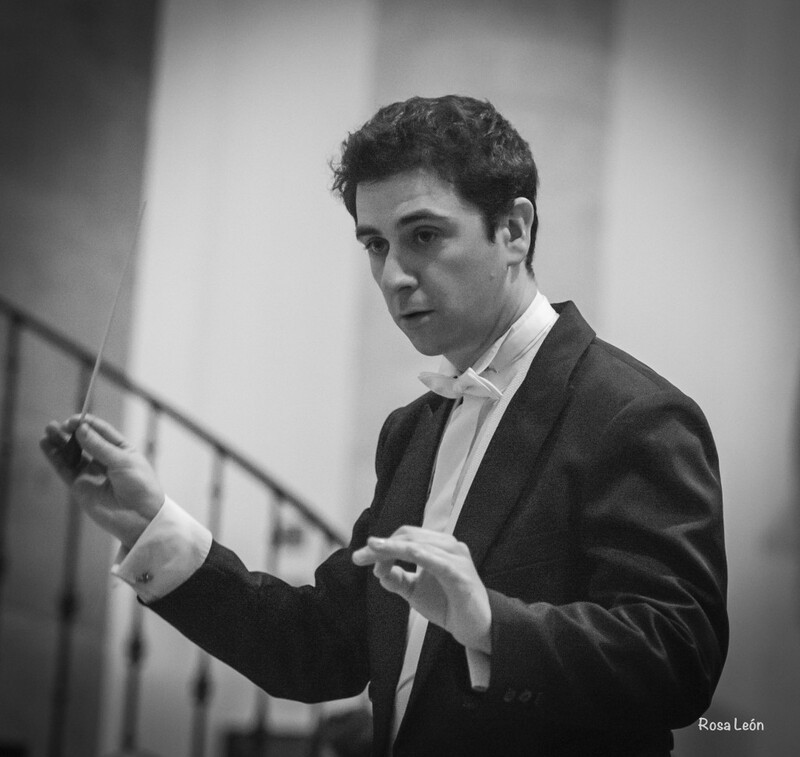 Last July he traveled to Miami as assistant conductor in Don Giovanni opera for the Miami Summer Music Festival 2015 and he won the Conducting Competition in the Festival and he conducted some concerts there. He is currently the conductor of Orquesta Sinfónica “Ciudad de Getafe”, conductor of “Coral Polifónica de Getafe” and combines his concert activity teaching at the School of Music “Maestro Gombau” and as Coordinator of musical activities and responsible the musical programming of the Cultural Office in the city of Getafe.